Pinterest Social Media Marketing is just as important as other more commonly used Platforms, such as Facebook and Twitter. It is a key part of Marketing your business, one that is unique in user experience and messaging. Pinterest Posts link directly to your Website and play an important role in Search Engine Rankings. 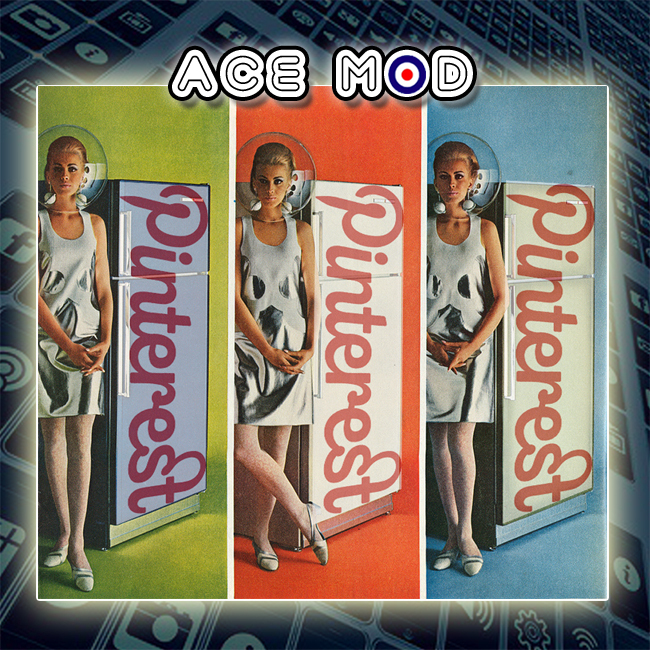 Ace Mod is here to get your Business on Pinterest today. Pinterest Social Media Marketing engages with users differently than with other Platforms. Users create Boards to collect their favorite images, how-to topics, wish lists, and Brands that not only interest them but represent their personality. Your Brand becomes part of their lifestyle aesthetic, and your Business becomes part of who they are, and what they want. That is powerful. Also, other Pinterest users are Social Influences. Your Business on users Boards they follow creates a halo effect for your Products and Services. Pinterest provides Social word-of-mouth and makes your Brand even more relevant. Pinterest is a growing Social Media Platform. As of January 2018, Pinterest had 175 Million Active Users, 75 Million in the US alone. There are over 1 Billion Boards where users are saving and showcasing Images, Website Links, and Brands. Let’s get your Business pinned to Pinterest Boards today and shared by Pinterest influencers to help Grow your Brand and your Business. Pinterest Users have money to Spend. Half of Pinterest users is $50K or greater per year, with 10 percent of Pinteresting households making greater than $125K. We want your Business top of mind for these affluent Consumers. Ace can help design the best Images and Ads to hit your Target’s eyes so they will start pinning and saving your Brand. Pinterest Converts More Browsers Into Buyers. Users with Buying Power and Disposable Income are on Pinterest to find Products, Services, and Items to add to their Home and Life. The format of Pinterest, which includes direct links to your Website with every post, reduces the number of steps from discovery to conversion. This means that visitors from Pinterest convert into leads or sales faster than from other social media sources. Including Pinterest on your Social Media Platforms will increase Web Traffic, Leads and Sales. What are you waiting for? Ace is here to get Pinterest-started. Pinterest drives Tons of Traffic to Your Website. Pinterest drives more Traffic directly to your Business’ Website than any other Social Media Platform. Every Post includes a link to your Website, and these links live in the Post and follow along when other users pin your Post to their own Boards. One click on a Post and the user on your Website. User engagement on Pinterest is Highly Addictive. Unlike any other Social Media Platform out there, Pinterest has the longest engagement per visit. Users spend quality time scrolling through Images, Ads, and Posts to add to their collections. Pinterest users are not Passive, they are interacting actively with Brands and are hungry for more. We want your business on all Social Media Networks. Pinterest Social Media Marketing is key to your Business and Brand. Ace Mod wants your Business on Pinterest Today We want active, spending Consumers collecting and pinning your Brand and clicking on your Website to learn more and Purchase your Products and Services. Reach out and let us help set your Pinterest up, and add engaging content to it. We will build up your own Boards and Brand, and get it out there immediately. Contact us today to discuss your best Pinterest options for you, and be sure to ask about SEO and Social Media packages tailor-made for your business.